Venetian Isles Beauty awaits the pickiest buyers! This 4500 sq ft home located on deep sailboat water on Tampa Bay will not disappoint! As you enter into the foyer that boasts cathedral ceiling with chandelier and baby grand piano the open formal living room awaits with gas fire place. The formal Dining room extends beyond the living room overlooking covered open lanai, salt water swimming pool and spacious yard for play ground or dog run that is separately fenced in. Back inside the 5 bedroom 4 full bath home awaits for luxury living at its finest. Master suite has his/her closet, Dbl sinks and separate jacuzzi tub. Granite Kitchen with Wood Cabinets, Gas Cook Top which opens into the large great room/dinette with plenty of room for entertaining also overlooking the lanai and water frontage. Once upstairs you are pleasantly surprised with a master piece Game Room/ Living area with Brazilian hard wood floors, Wet Bar, Wine cellar (1144 Bottle storage), Beer refrigerator, 10ft Ceilings and a small balcony to over look the water. The 5th Bedroom and 4th bath are also on 2nd floor. 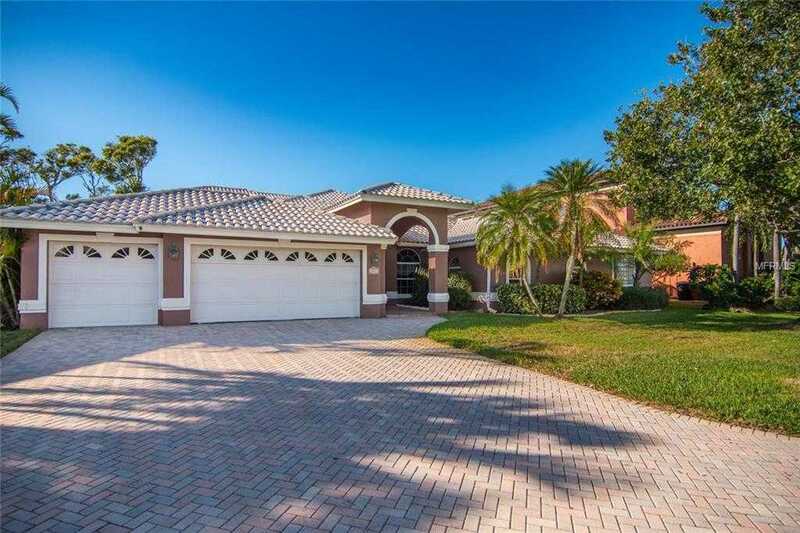 Home offers an oversized inside laundry room & 3 car garage, 3 A/C units, Plantation shutters throughout, Thermal windows, tropical lush landscaping and oversized lot 92×120. Close to downtown, interstate, beaches and located in the desirable deed restricted neighborhood of Venetian Isles. Come see this gem today as it is one of the largest homes in Venetian Isles with partial open water views and updated beautifully! Please, send me more information on this property: MLS# U7838372 – $1,099,000 – 2061 Hawaii Ave Ne, St Petersburg, FL 33703. I would like to schedule a showing appointment for this property: MLS# U7838372 – $1,099,000 – 2061 Hawaii Ave Ne, St Petersburg, FL 33703.